Our amazing librarian introduced me to an equally amazing book! Synopsis from Book List: How do you describe the colours of the rainbow to someone who cannot see them? This inventive picture book relates the ways Thomas experiences colours -- through his senses of smell, taste, touch, and hearing. To Thomas, red is the sting of a skinned knee or the tartness of an unripe strawberry; green, the scent of freshly mown grass. Opening Lines: Thomas says that yellow tastes like mustard, but is as soft as a baby chick's feathers. Why I Like This Book: This book is very unusual and innovative. I've never seen anything like it! 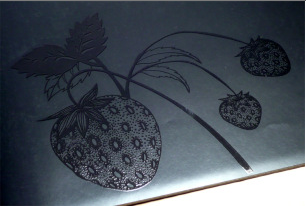 The entire book is black, with embossed illustrations and braille. My class was fascinated with it and the realization that blind people can think of colours in terms of touch, taste, smell and sound. One word of caution though: The braille is very difficult for blind people to read, as the dots aren't high enough to properly feel. A beautiful book for sure, but it's meant for sighted people to gain some insight into a blind person's world. 1. 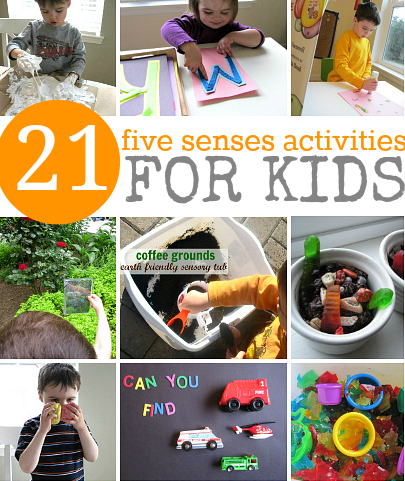 Have your kids write colour poems, using only their 4 other senses. Click the image to grab. 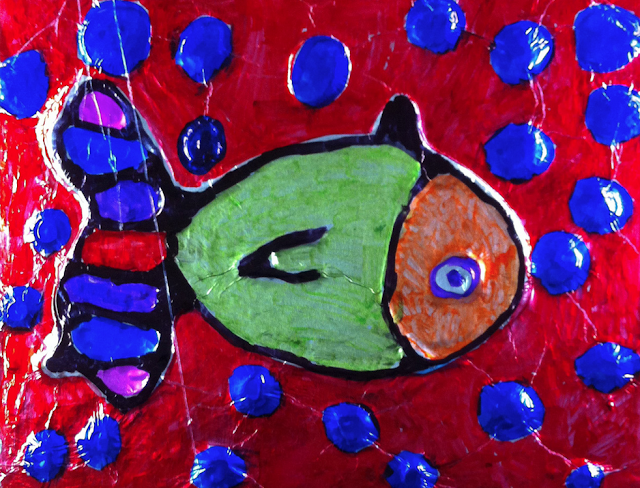 This beautiful artwork came from Kathy at Art Projects for Kids. For Grade 1's, I'd modify it slightly by giving the kids small chipboard to work on and have them make very simple and few glue designs. Be sure to visit Kathy for the complete directions. 3. No Time For Flash Cards has this fabulous list of resources. You really need to check this out! Quite brilliant. Thank you so much for this recommendation! Thanks for all the suggestions. 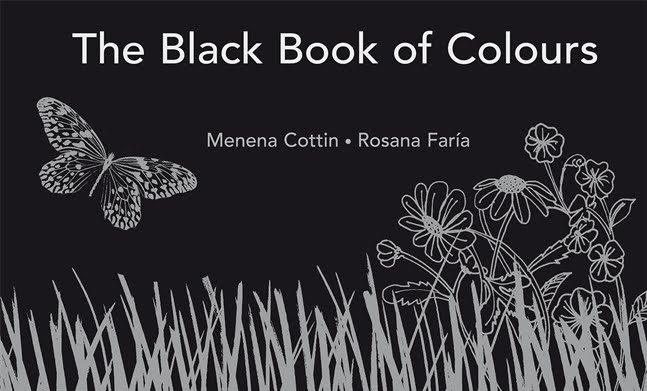 The Black Book of Colors looks very interesting. It's very unusual, that's for sure. The colors book sounds wonderful! Beautiful book! I love the way the opening line is written. I would imagine the students fall in love with this one! The entire text is written that way! Brilliant book. Worth at least 2 reviews on the same blog! This book looks amazing, Barbara! And I love the activities you thought up to go with it. I love the idea of experiencing color through sense other than sight, and it reminds me of Red Sings From Treetops, the way Joyce Sidman describes color. Thanks so much for sharing this one! Thanks Susanna. I think I have Red! I'll have to go searching through my stacks. Thanks for dropping by! Looks awesome! 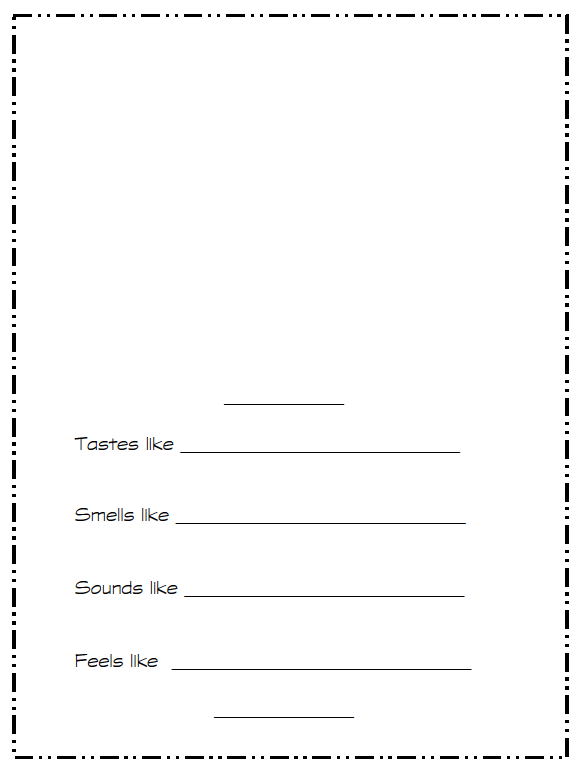 Perfect for us now that we are studying Helen Keller too- a great connection for our inquiry. I can see why your class was fascinated by this book. I am fascinated by just reading about it. I hope the library has it!!! Quite unique. This is one I'd love to share on my blog. I have to get it! Thank you for sharing! WHOA! What an amazing book! You have stopped me in my tracks! Last year I studied all about illustrations and how drawing is so critical for young children. This year I wanted to focus on writing, but you and Sandi are making me wonder if I should study art instead. I love this book; so glad you chose it for PPBF. Thanks for the perfect activities to go along with it.